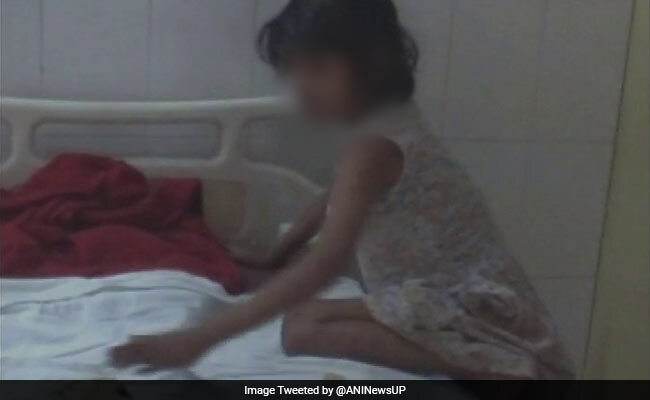 The girl was found with a troop of monkeys in Bahraich. In the Indian press, the girl has also drawn comparisons to Rudyard Kipling's Mowgli, a feral child from Seoni, India, featured as the prominent character in his novel "The Jungle Book." Based on her behavior, it appears she could have lived among the primates since she was an infant, Bahraich police officer Dinesh Tripathi told the New Indian Express. When the girl arrived at the hospital, she had wounds all over her body. "Her nails and hair were unkempt like monkeys," Tripathi said. The thin, weak girl looked like she had not eaten for many days. Though she was capable of walking on her feet, she would sometimes suddenly drop down on all fours. "The way she moved, even her eating habits were like that of an animal," D.K. 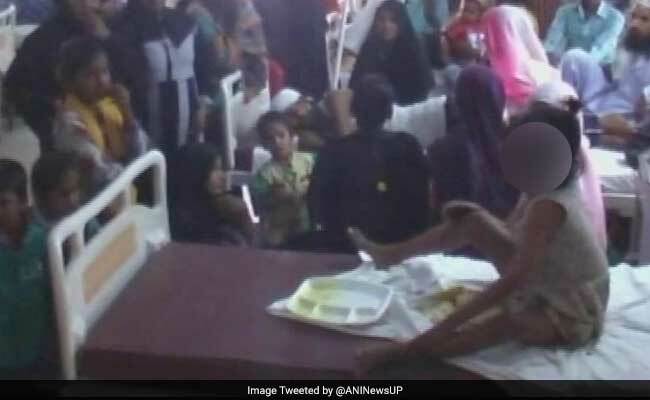 Singh, chief medical superintendent at Bahraich District Hospital told the Associated Press in an interview recorded on video. "She would throw food on the ground and eat it directly with her mouth, without lifting it with her hands. She used to move around using only her elbows and her knees." "She behaves like an ape and screams loudly if doctors try to reach out to her," Singh told the New Indian Express. Another doctor treating her said the girl struggles to understand anything, and makes apelike noises and facial expressions. But over the past two months, the girl's health and behavior have improved significantly, doctors say. She has begun to walk normally by herself and eat food with her own hands. She is still unable to speak, and has begun to use gestures to communicate. Occasionally, she also smiles, according a hospital spokesman, Sky News reported. Numerous stories of feral children like the young girl exist both in legend and in documented cases in history. Some recent cases include children who, like this girl, were raised by primates. A British woman named Marina Chapman claimed to have lived with monkeys from the ages of four to nine in the Colombian jungle and later wrote a book about it, though some questioned the veracity of the tale. A disabled Nigerian boy named Bello was found living with chimpanzees for 18 months in 1996 after he had been abandoned by his family. Six-year-old John Ssebunya was found living with green vervet monkeys in the Ugandan jungle in 1991. He is believed to have run away from home when he was three years old after seeing his father murder his mother. He was placed in an orphanage and was later adopted. He learned to speak, became a member of the Pearl of Africa children's choir and participated in the Special Olympics, later moving into a home of his own. Ssebunya's story was featured in a number of documentaries, including a three-part Animal Planet series, "Raised Wild," in which anthropologist and broadcaster Mary-Ann Ochota investigated three cases of feral children, in Uganda, the Ukraine and Fiji. On her website, Ochota wrote about her experiences meeting these former feral children and learning their stories. Cases of feral children can provide insight into human child development, cultural attitudes to disability, and how different societies categorize and explain relationships between humans and animals. But these "strange, feral children are also often a source of shame and secrecy within a family or community," she wrote. "These aren't Jungle Book stories, they're often harrowing cases of neglect and abuse," Ochota wrote. "And it's all too likely because of a tragic combination of addiction, domestic violence and poverty. These are kids who fell through the cracks, who were forgotten, or ignored, or hidden."